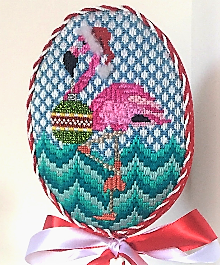 This adorable flamingo holiday needlepoint ornament is a delightful addition to Christmas decor. 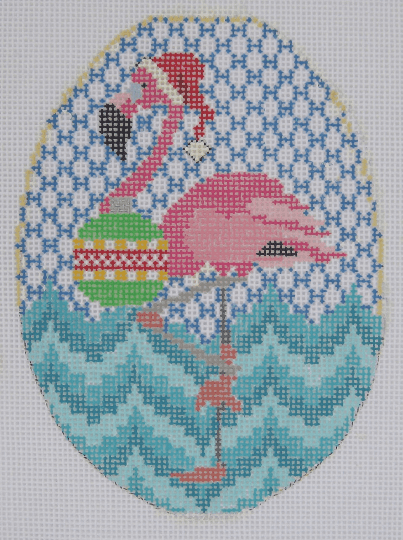 Flamingo Holiday is a bright, fun design, and it is so much fun to stitch. I call the flamingo Felicity. 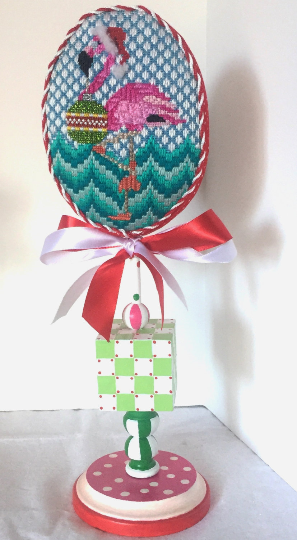 She sports a red Santa hat with fur trim, and a sparkling ornament dangles from her beak. The background is painted with waves in three shades of blue green, and a blue & white sky. 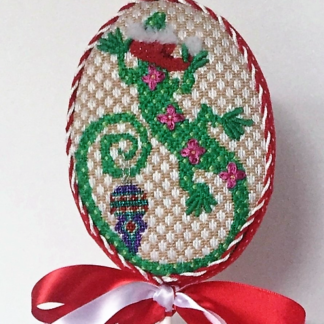 This canvas is a quick stitch, and is an ideal piece for decorative stitching. 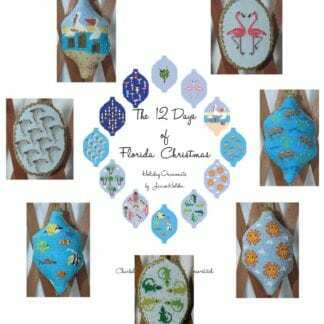 I followed Flamingo Holiday with Loralee Lizard, a companion for Felicity. Stitch them up both up for a flirty, fun holiday combo. Finish both canvases as ornaments or stand up decorative accents. 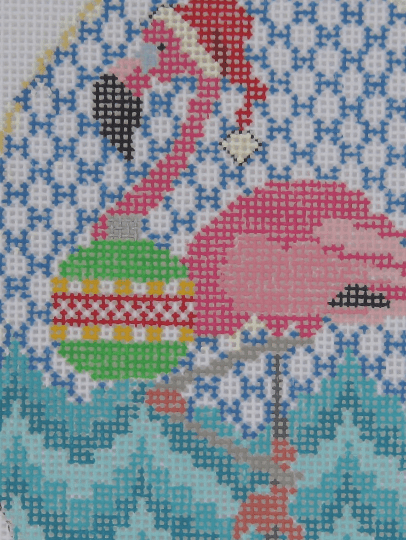 Flamingo Holiday (aka Felicity) will look great completed in tent stitch. If you enjoy decorative stitching, check out our available stitch guide. I really enjoy developing stitch guides. While stitching the canvas, I get to take the time to try out new stitches until I find just the right one for each area. 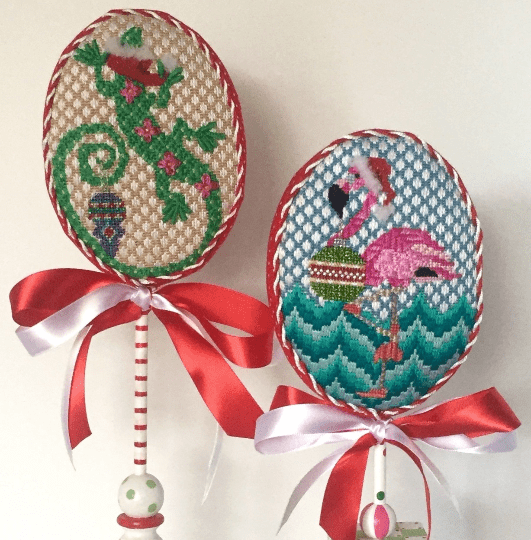 The Felicity Flamingo stitch guide walks you through every stitch with clear stitching charts and easy to follow instructions. Stitch guide is available for purchase as a PDF download HERE.